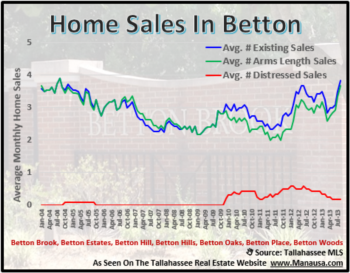 I am often asked if I will publish a housing report for a specific area or specific Tallahassee neighborhood, and perhaps the most requested is the 32308 real estate report. The 32308 zip code is home to some very popular Tallahassee neighborhoods, such as Betton Hills, Park Charleston and Eastgate. 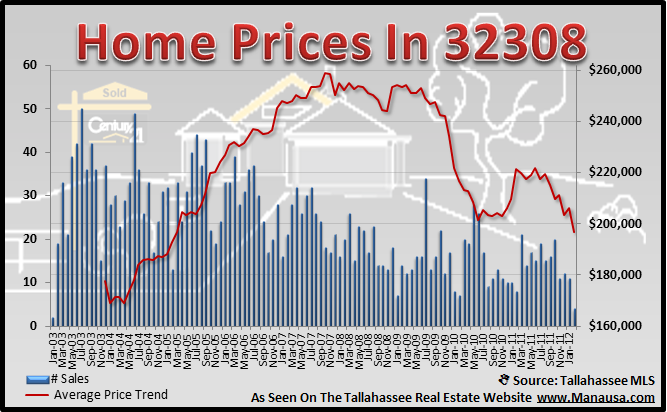 The 32308 real estate report could well be classified as the heart of residential Tallahassee. If you need to sell a home in the 32308 zip code, then I urge you to "hire the best," and to price your home correctly. Falling values leaves failed home sellers with a home that will sell for less in the near future. Home prices in the 32308 real estate report are falling again. We know from past reports that often times the average price of homes in a certain area might be on the rise, even when property values are falling. That trend has ended in this area and prices have now joined values, and they are on the decline. Home values in the 32308 real estate report have dropped below an average of $105 per square foot, a level last seen in 2004. That means current values are consistent with values in late 2003, and we know that they will continue to fall as the glut of supply continues to pressure a market that is struggling to stimulate demand, due to the thousands of potential buyers who are current trapped in a home with more mortgage than value. 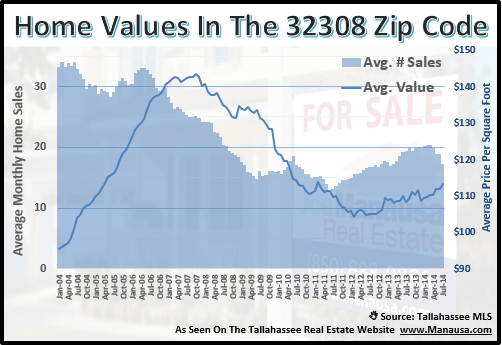 Thank you for checking out the 32308 real estate report, come back again for this and other zip codes in the Tallahassee real estate market. 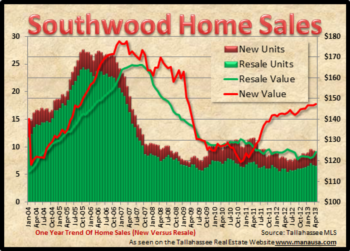 Which Way Will Southwood Home Sales Go?